I need to break these up by pages which will not only give me more material to post, but make it easier to comment. This front page of the May 3 newsletter has all the ramblings of the four Silver Laughter members in the band at that time. Ken refers to going into the studio to work on our second album. Art made a few typos, but over all it’s a nice piece of history. 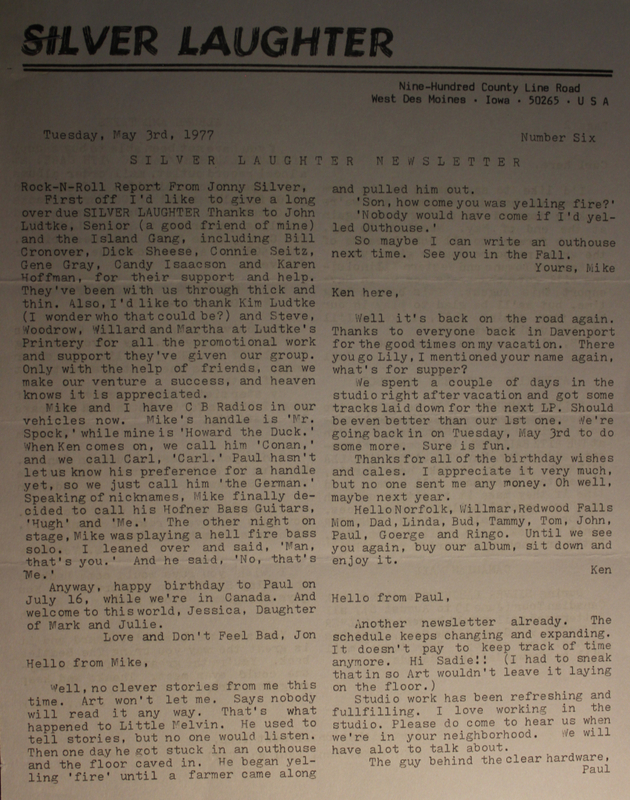 Silver Laughter Newsletter from May 1977 – Page 2 | Silver Laughter & The Silvers!